Fabulous Miss K: Chanel says"Do glamour?!" Coco says "Dress shabbily and they remember the dress; dress impeccabily they remember the woman"
I've been reminded with the Chanel film Coco avant Chanel of one of her famous quotes; and anyone who knows that I am always in heels, hardly ever in jeans and wouldn't dream of leaving the house in a tracksuit or fleece - I just don't seem to be able to do scruffy and according to Madamoiselle I shouldn't. Maybe it was living in Paris for a little while - some of the French Chic may have rubbed off? (Or maybe it's my distant French heritage?) They seem to have a polish that others can't seem to aquire - I suppose what it comes down to is just taking a bit of effort and caring what we look like. 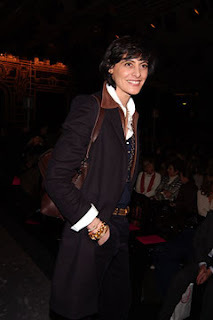 My favourite chic French women like Ines De Fressenge, Vanessa Paradis, Charlotte Gainsbrough and Lou Dillon mange look effortless and pulled together for every occasion. I am not saying that you should dress up to the nines every day but just make a little effort every day to be a little more glamourous. 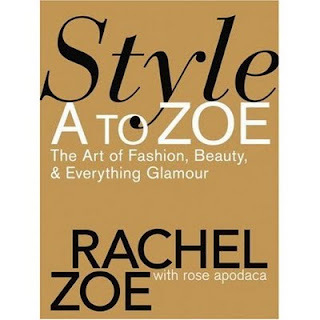 The other great advocate of this therory is Rachel Zoe - those of you who have read her book and I do reccommend that you do as it is great fun and she is so much larger than life but has fabulous ideas on how to bring some glamour to you life and wardrobe. In these days of recession, doom and gloom doesn't it sound like a good idea to dress up a little when you step out the door - a bright colour instead of black, a fun vintage dress and high heels or even a floral print scarf tied to your bag. 1) Wear a red lip - if you are not sure which shade to choose pop along to one of the cosmetic counters in your local department store to try ut a few. You could always try a stain if you are afraid to do the full on mouth. 3) Add some heels - they will always make you feel glamorous and there are some fabulous ones around and they don't have to break the bank. 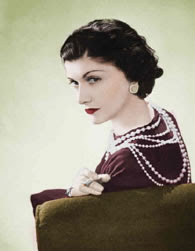 4) Buy some bling - costume jewellery can transform the plainest of outfits. 5) Smile - nothing makes you look amazing and confident. To quote Chanel again " I don't understand how a woman can leave the house without fixing herself up a little if only out of politeness. So let's glam it up and make Madamoiselle proud.